Forecasted to reach 17% by 2018. 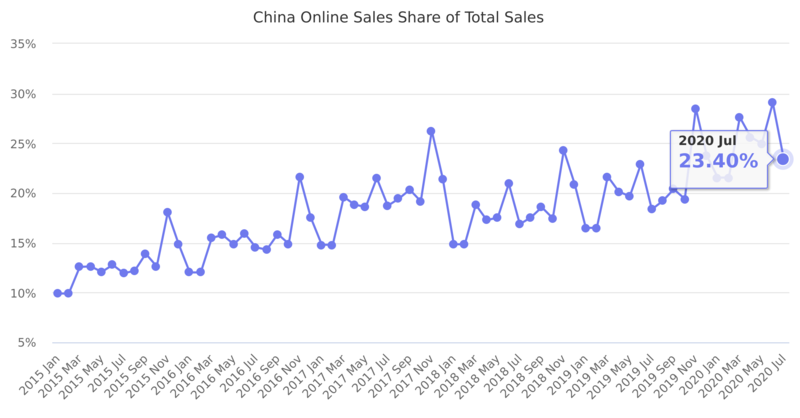 The growth is largely driven by Alibaba and JD.com websites and marketplaces. Source: China’s National Bureau of Statistics.